. 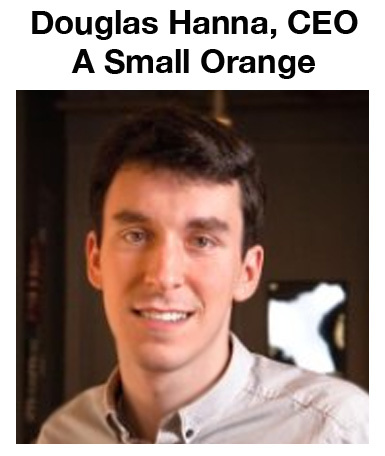 But have you heard of a small orange? A small orange has a reputation for exceptional customer service. The CEO of A Small Orange, Doug Hanna, comes from a customer service background. Prior to joining a small orange in 2010, Doug Hanna was the customer service manager of HostGator. He also founded and writes for Service United, a blog dedicated to customer service. What are the main services that your company provides to small businesses? We provide a wide variety of web hosting services, including shared hosting, reseller hosting, cloud hosting, and dedicated servers. We can alsohelp our customers with SEO services and website creation/adjustment through our partners if needed. Do you have any suggestions for a small business trying to find a domain name? Keep your domain name simple, memorable, and relevant to your business. Make sure you take your time and research organizations in your field, in addition to what domain names are available to you so you can effectively differentiate yourself from your competitors. How many domain names does a typical small business register and why? It definitely varies. While some may only purchase the domains they need to get noticed by new and existing customers, others may take a more defensive strategy by buying up a wide range of domain names related to their product or service to avoid the possibility of their name getting snapped up by a competitor. Some customers have multiple businesses or presences online and have domains for each of those as well. Is website hosting a commodity product? If not, what are the most important differences between providers that a small business should consider? It is. Space and bandwidth are the same, whether they come from us or another provider. 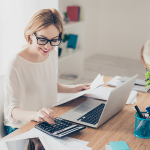 With that in mind, it’s important for small business owners to look at things like service, security, and the quality of the technology and hardware being utilized by the hosting company. A Small Orange’s commitment to customer service is something we proudly advertise, and we’re always working tirelessly to keep our networks online and our customers’ websites safe. We know how important a customer’s business is to their life, so we make sure always available to help out (with a smile) 24 hours a day, 7 days a week. What type of web hosting services do you provide? (ie shared servers, dedicated machines, cloud based)? How should a small business decide between these services? We provide shared and business hosting plans, virtual private servers, hybrid servers, and dedicated servers. In terms of how to decide between these services, you need a clear idea of your budget, how much space you need, and what you’re looking to accomplish with the site in the short and long term (among other things). There’s a lot to consider, but we’ve got a knowledgeable sales and support team that help small businesses find the plan that’s right for them. 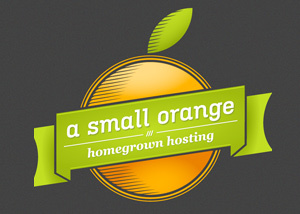 Email info@asmallorange.com if you’re curious about our plans – we’re happy to help you out anytime. Something that helps a lot of customers is knowing that they aren’t locked into a particular type of hosting because it’s generally pretty easy to switch between them. We have customers upgrade from shared to VPS or VPS to dedicated (or some other change) all the time. What are the most popular content management systems used by Small Business? Do you have a recommendation on which one is best for a business setting up their first website? WordPress is probably the most popular, but we offer many other CMS options (including Drupal and Joomla) through our Softaculous 1-click installer. I would recommend WordPress for those new to setting up websites, as they have a very active community of users and a wealth of customization options. What are some common mistakes or oversights made by small businesses when setting up a website that impact their search engine rankings? Don’t skimp on keyword research. You’ll want to feature web content that’s relevant to your product or service on your site so search engines can recognize you. If that’s not a familiar concept, the AdWords Keyword research tool is a good way to find search queries that relate to your business. Also, make sure your site can be indexed correctly, so avoid things like too many images and Flash animations. The final thing is to make sure your site can be viewed effectively on mobile. It doesn’t necessarily have to be fully responsive, but having a site that can load quickly and work well on a cell phone is critical today. What is a good page loading time for a small business site? How muchdoes hosting play into page loading time? Any tips for speeding up loading time? 1-2 seconds, if possible. Hosting can definitely play a role in page loading time. For example, our Cloud VPS environment uses only SSD drives, which can be up to 100 times faster than standard cloud environments and subsequently affects load time. As far as tips to speed things up, keep your images optimized, use a Content Delivery Network if you can, and utilize caching for static content. Both Google and Yahoo offer a lot of resources to help webmasters put together a faster website as well. Do you provide e-mail as part of your hosting package? Do most small businesses take advantage the ability to have a company email address? A big “yes” to both of these things. Email is a central part of what customers use our hosting services for. We fully support POP and IMAP email and we help customers with their email all the time. For mobile sites do you recommend responsive or adaptive design? Do you have any tools that help small businesses make their website mobile friendly? Both achieve the same goal of allowing websites to be viewed in mobile devices, but there can be advantages and disadvantages to each. 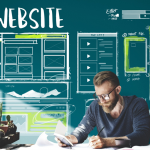 For example, adaptive websites are better in load time performance, but responsive sites rely on a single codebase for the website, which makes the developer’s job easier in terms of site maintenance. It really depends on the goals of your site, so I would suggest looking into both before making a final decision. No mobile-friendly tools at the moment, but we’re constantly evolving our products and services, so it’s definitely a possibility. If you were a small business and wanted to test out online advertising, what would you recommend as a first step? There are a wide variety of online advertising options, such as PPC advertising, social media, and more. Social media is probably the least expensive entry point into getting your name out there, so that’s always an easy place to start building your brand. Google AdWords is also an easy to use tool for new businesses looking to advertise, but it does take money out of your pocket. However, ASO provides $100 in AdWords credits with any new hosting plan, so we make it a little simpler and less costly for a small business that wants to drum up some exposure online. Douglas Hanna is the CEO of A Small Orange, a provider of high quality shared, VPS, reseller, and dedicated web hosting. As CEO, Douglas leads the company’s management team and is directly responsible for the company’s finance, product and business development, and M&A activities. 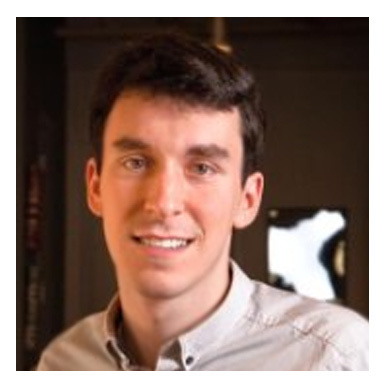 He is also responsible for HostNine and SEO Web Hosting, two companies that A Small Orange acquired in November 2010. Before joining A Small Orange in March 2010, Douglas was the Customer Service Manager at HostGator.com LLC, a world leading web hosting company with more than 225,000 customers. At HostGator, he was responsible for customer service and customer service operations, as well as corporate communications and public relations. Douglas also founded and writes for Service Untitled, a leading blog on customer service and the customer service experience and has done customer service consulting for companies such as Dell. interesting to know about “Douglas Hanna” that brings to a small orange to this level. Really inspiring for me. Inspiration is a good thing. I’m glad the interview was motivating to you!